Create home accessories, toys, gifts, and cards using sewing techniques such as crochet, embroidery, sewing, and more. 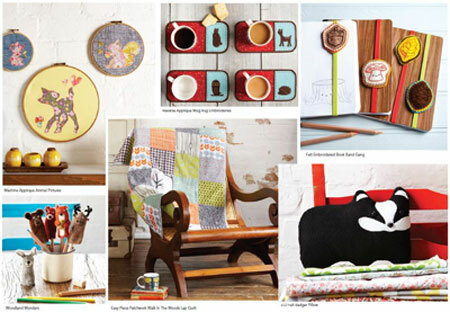 Mollie Makes Woodland Friends is filled with more handmade projects for the home. There are ideas for home accessories, toys, gifts, and cards, covering a wide range of techniques including sewing, crochet, embroidery, paper crafts, and more. Whether one is a knitter or a felter or just fancies trying out some crochet, stitching, or paper-cutting for the first time, there is something in here for everyone. You are looking for projects that cover a wide range of techniques. Each project is accompanied by clear, stylish step-by-step photography, with hints and tips direct from the makers. Crafters will dig out their very best vintage fabrics, most colorful yarns, and threads, clear the kitchen table, and will be prepared to be inspired.